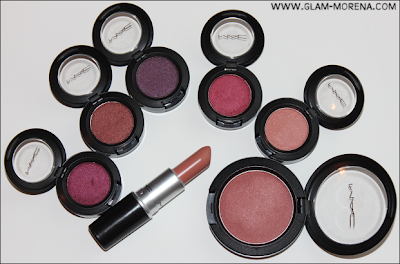 Glam Morena: MAC Nudes & Metallics, Pressed Pigments, & Indulge. 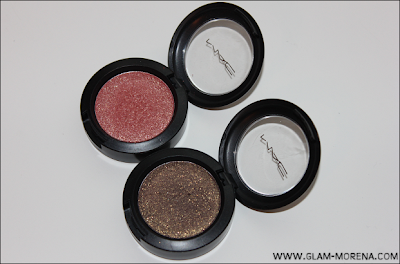 MAC Nudes & Metallics, Pressed Pigments, & Indulge. 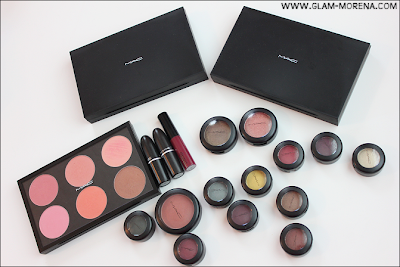 I am back here with another collective MAC Cosmetics haul again! MAC has been coming out with some really great collections this year and I can not seem to resist checking out a few of them. 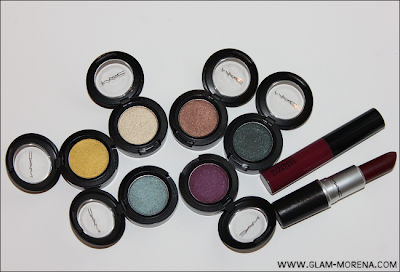 The products in this haul are from the MAC Nudes & Metallics, Pressed Pigments, and Indulge collections. MAC also recently lowered the prices of their Pro Palettes and Prop Palette inserts. I decided to pick up two of the MAC Pro Palette Large Duos. I also picked up three Pro Palette Blush Inserts and two Pro Palette Eyeshadow inserts. My collective MAC Cosmetics Haul! I will be posting more photos and swatches of everything later this week! Did you pick up anything from these collections? If so, what? Love your haul darlin! I'm on Blogger and i'm wondering how you were able to get a "click link" on your background did you upload it differently than in the template editor?